How we’ve completely reinvented how Jo Jingles and their franchisees do business. Create a cloud based franchise platform that will be intuitive to use by our 90 franchisees, fully controlled by head office, and increase the amount enquiries and online bookings. 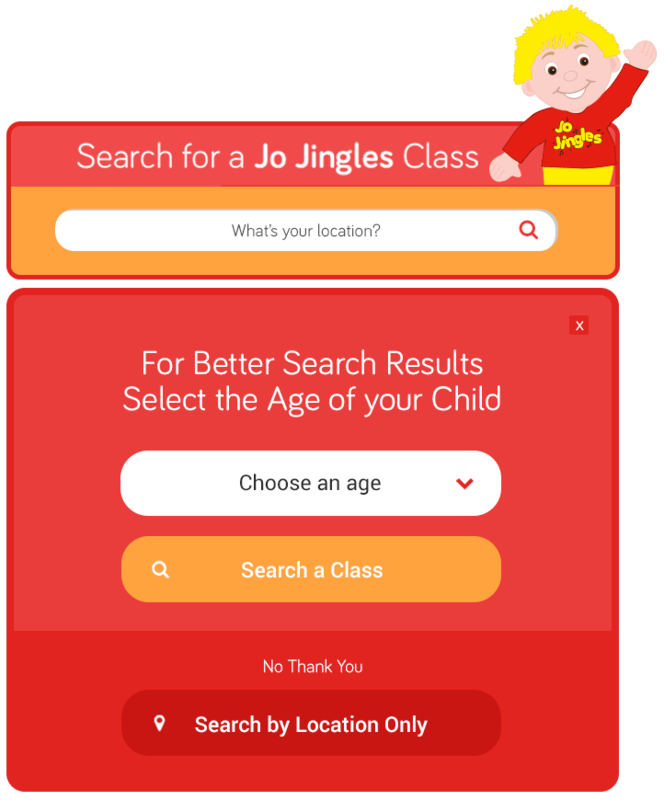 Finding a Jo Jingles class has never been easier. We simplified how customers search for and discover over 700 locations across UK and Ireland. By understanding the users needs, abilities and limitations, we improved the experience of enquiring for, or booking a class, across all mobile devices. 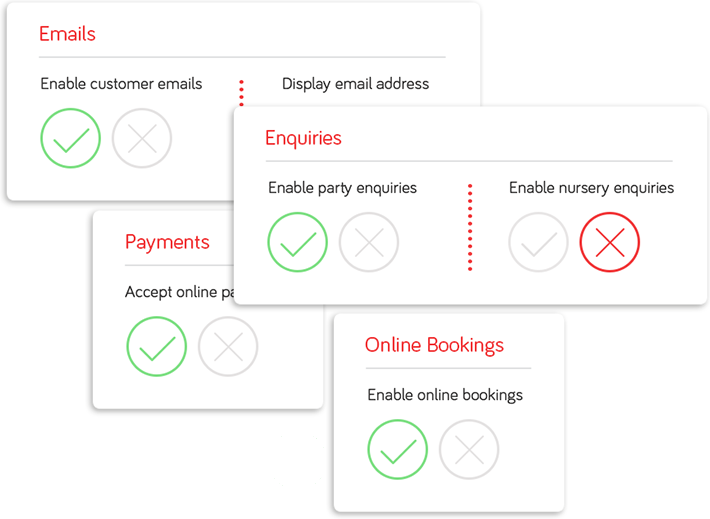 Franchisees can manage which payment types they receive for class bookings, including online payment for a full term of classes. 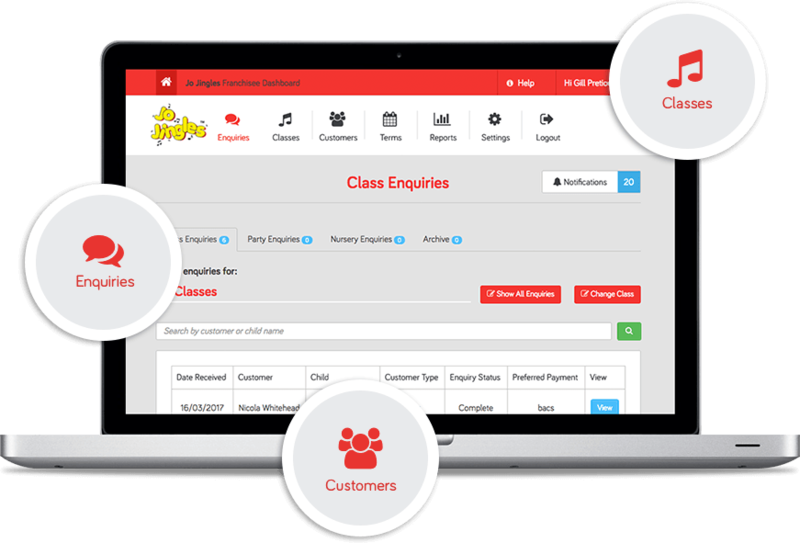 Giving franchisees full control to manage their enquiries, customers, and classes with their own online dashboard. We developed optional functionality that automates manual parts of the processes, giving the franchisee the choice to use or not. 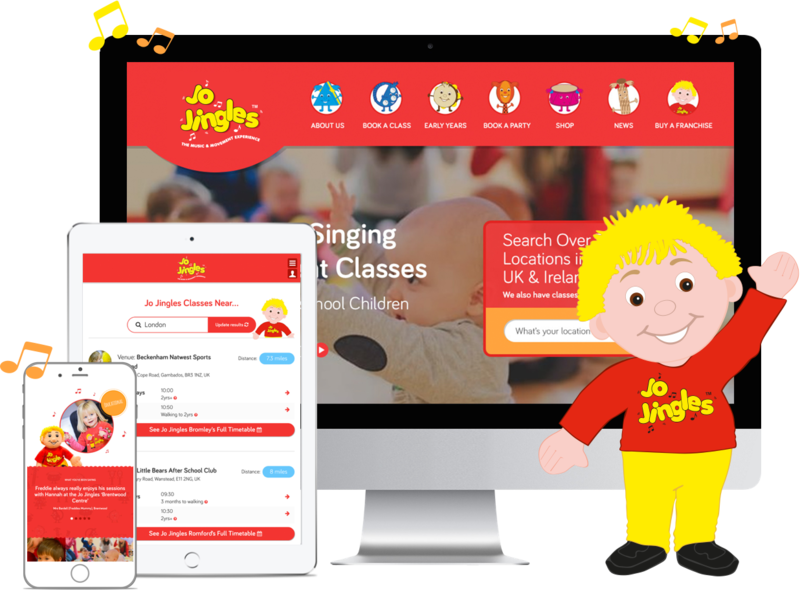 Jo Jingles head office team can easily oversee and help all 90 franchisees, at any time from within their main dashboard, streamlining their support and communications. 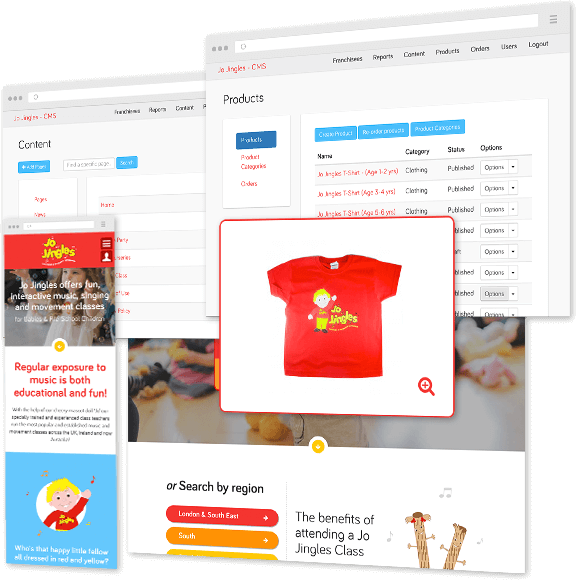 View, manage and create; merchandise, management reports and website content from the core cloud based system. Since the website launch, there's been a 60% increase in enquiries to become a franchisee. 90+ franchisees fully engaged with a new user friendly system.